2. A member of our account executive team will contact you shortly after receiving your submission. He or she will discuss your business needs and together you can select the program that works best for your business. 3. Once you select your solution, your Account Executive will customize the plan in regards to the duration and payback that works best with your businesses cash flow. 4. Submit minimal paperwork and our Underwriting Department will have a decision within 48 hrs. Upon approval, we will finalize the set up for repayment and the funds will be wired into your business bank account. 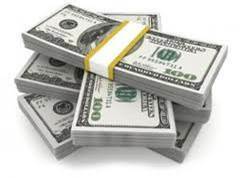 Merchant Cash Advance Programs - Your processor will set up split-withholding for your account. A small, fixed percentage of your future credit card sales will repay your capital. Loan programs- Your business repays the capital through a fixed Automated Clearing House (ACH) set up with your business bank account. Working together makes it easy, technology makes it fast. Your Money's Here!